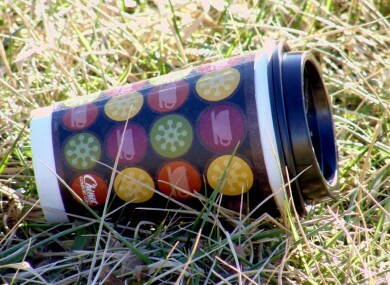 The Irish Business Against Litter group has named the outright winner among Ireland’s tidiest towns – and delivered some bad news for Dublin and Cork. THE TOWN OF Trim, Co Meath has been announced as the cleanest urban area in Ireland – while areas of Dublin and Cork are the dirtiest in the country, says a new report. Trim was earlier named along with Cavan, Dun Laoghaire, Killarney, Swords and Trim as one of the most litter-free areas in the country, according to the latest ranking from Irish Business Against Litter. It was formally announced as the outright winner this afternoon. But north inner city Dublin and the Knocknaheeny area of Cork city have been named and shamed as litter blackspots. IBAL chairman Tom Cavanagh said the areas were a “major letdown”. We need to ask why Dublin, Cork and Limerick are not as clean as their European equivalents when Galway, Waterford and all of Ireland’s large provincial towns now clearly are? However, some 70 per cent of towns surveyed were rated as effectively litter-free, despite what IBAL said was a tightening of local authority resources. Dr Cavanagh said that an environment without litter attracts tourism, as well as drawing “inward investment in the form of shoppers” and new residents. Four other areas of the 53 assessed by IBAL were rated as “littered” – Portlaoise, Letterkenny, Dublin city and Tipperary town. Email “Update: And the winner of the cleanest town in Ireland is…”. Feedback on “Update: And the winner of the cleanest town in Ireland is…”.